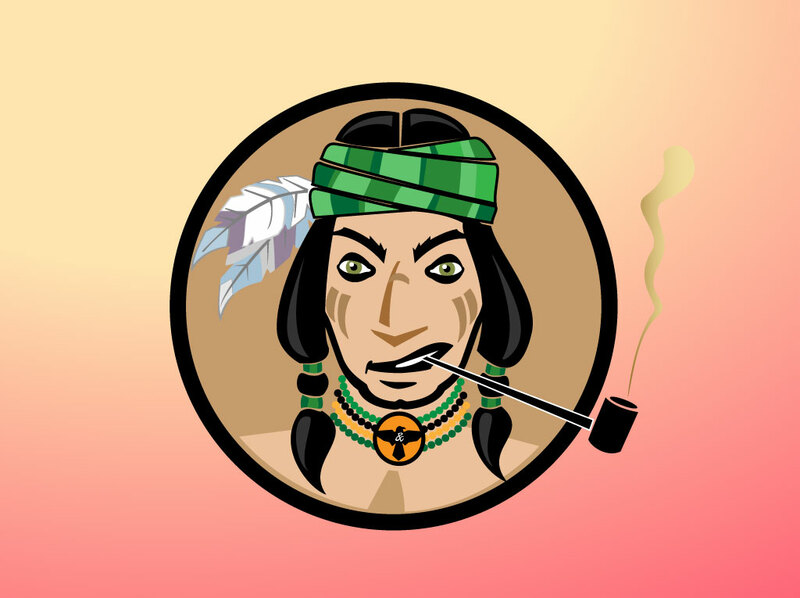 Cartoon style vector drawing of a Native American with long black braided hair, eagle feathers, headband, war paint, neck choker with eagle pendant and smoking a pipe. Fun graphic for tongue in cheek designs and humorous comics for a personal website or blog. Tags: Apache, Indian, Mascot, Native American, Noble, Pipe, Tribal, War Paint.